That's a staggering difference between the two scenarios. Additionally, we could also say that owner 2, besides spending 70% less money, also enjoyed his boat twice as much. Therefore 3 x 2 = 6 times better investment. 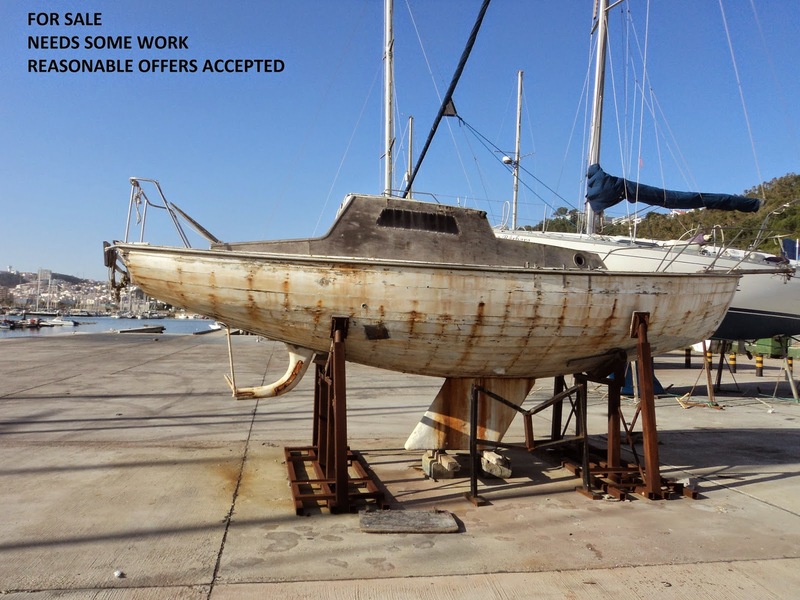 A 10-year-old boat may have a neglected or abused engine, it may have been run aground on a rock or had holes drilled into the deck without being properly sealed. Other than that, what you see is pretty much what you get. I still can't figure where I stand with my fat babe, only time will tell. Selling her has crossed my mind but I gotta hang on for a bit longer (closing on 3 years next month). Hopefully I'll be an exception.... yeah, still trying to quit smoking! I'm keeping this post for future reference and will share it. Cheers! I don't know about the "exceptional post" part, I just hope it makes readers think...writing it made me think (too late, like you said). Your fat babe is definitively an exception, a classic, she's got the look and the build, about the right size too, you haven't spent that much money on repairs or upkeep (at least from what I've read) and she'll hold her value well. If I owned Zoot I'd never have written this post. Do the math dude!! Compare the results with my "friend's" €9,000/year kick in the pants, and still counting. You make some really valid reasons for buying a particular type of boat it you bought it with your head in pure financial terms. Unfortunately we also buy a boat with our hearts and as liveaboards having a boat we can actually spend time on makes a real difference. We also need a boat that keeps us safe in most weather conditions. We bought what we believe is right for us but we do know fanancially it was not the best decision. Lifestyle wise it was. An excellent post that should be read and considered before buying a boat. I totally agree with you because you are, in fact, a liveaboard and, most importantly, with a very lovely liveaboard wife (a man/woman team living in anything under 40 feet creates a ripe setting for mutiny). I was writing about the majority of sailors. Being a long-standing marina/boatyard rat, I've seen so many blunders - including mine - that I really felt the need to say something and perhaps be of help to somebody out there who is dreaming about fixing up some broken down ketch at the back of a boatyard thinking it will be a matter of elbow grease and a few shiny parts or somebody on a tight budget who buys a 50 footer and never goes anywhere. I'm somewhere in between and worried I might never make it to Sicily. You make it sound like paradise, and it probably is...especially when it gets warmer. Man great read. I am looking for a livaboard now. Great info and something to make me think about. I'm glad it got you thinking. That's the purpose of the post, regardless of the boat you buy. Good luck! Maybe it's now time to buy a new boat from Rayomarine! Thanks for the comparison!